play in the League so this can also be a great way to find a team. Where: Pegasus TTC, Birch Village Hall, School Hill, Birch, CO2 0LZ. If you have some spare time and would like some fun/exercise/practise you will be made more than welcome at Pegasus TTC, Birch on Friday mornings. All standards welcome at this social occasion. Are you retired, between jobs, on holiday or perhaps you may have some leisure time. Make that leisure a pleasure. If you have hung up your bat, take it out again and enjoy a "knock". Where: Ogilvie Hall, Wignall Street, Lawford. CO11 2JG. When: Tuesday 7.00pm - 9.30pm. All standards welcome for social play or to gain extra practice for league matches. Informal coaching is available free. 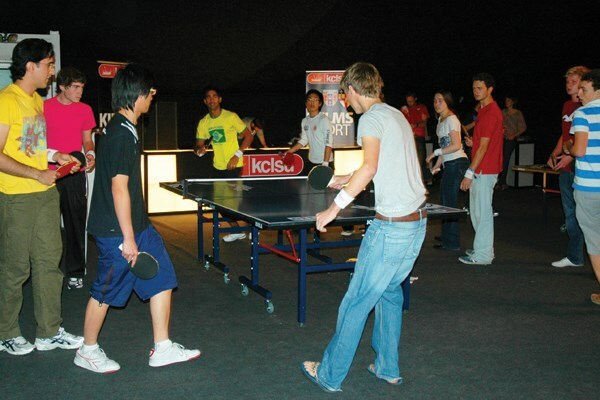 Up to 4 tables are usually available and all equipment is supplied. For more information please contact Steve Marr on 01206 390293. All standards welcome, get some extra practice ready for a league match or just have a social knock. Up to nine tables available. Informal coaching available. First visit free of charge.